Six of the best race crews in the world were on San Diego Bay Friday afternoon in final preparation for the start of the America’s Cup World Series – San Diego. With racing taking place in 6 to 9 knot Southwesterly wind, several teams took advantage of the situation to practice their starts and close-quarters race maneuvering. China Team had a strong day in the two races, posting a win and a second place finish to top the table ahead of Sweden’s Artemis Racing. 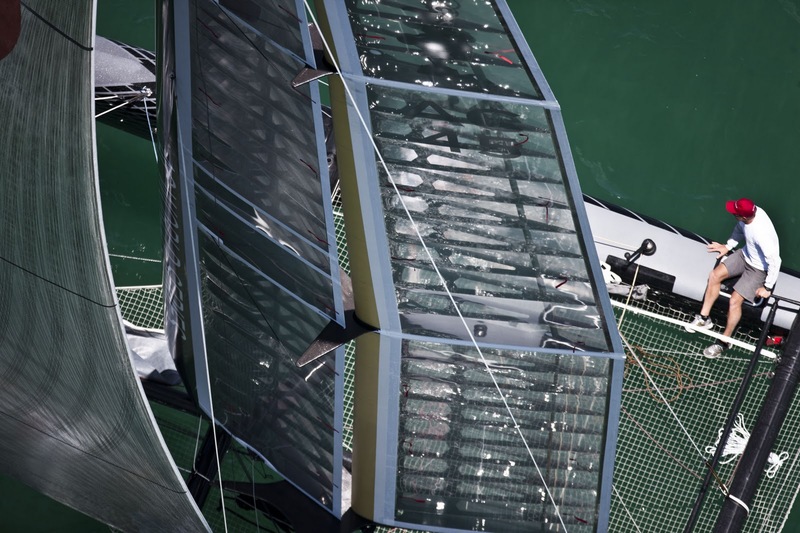 On Saturday and Sunday, the racing gets serious, with all nine America’s Cup World Series crews scheduled to race in the Port Cities Challenge. 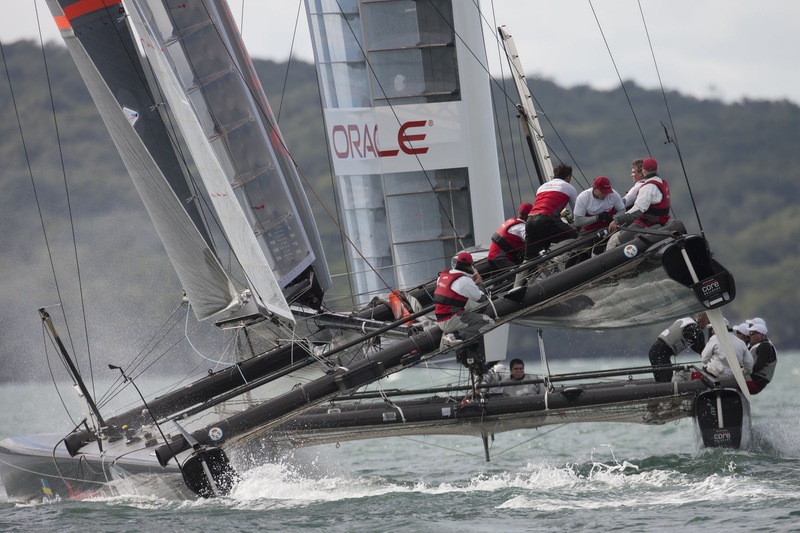 Three fleet races are scheduled each day. Representatives from the member cities will be aboard the race boats on Sunday. The event culminates with a public prize-giving ceremony at the AC Village following racing. The Port Cities Challenge trophy was designed by British artist Richard Vasey, who was inspired by the AC World Series coming to Plymouth in September. He donated the trophy to the local organizers of the San Diego event, who will present it to the winning team on Sunday. 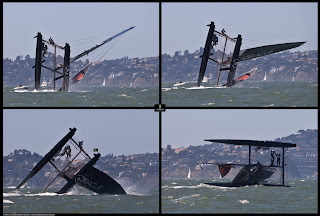 Following two training days on Monday and Tuesday, the championship portion of the America's Cup World Series - San Diego runs from Wednesday November 16 through Sunday November 20, and includes fleet and match racing, as well as AC500 Speed Trial drag races. 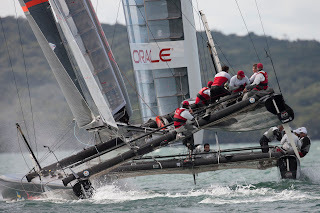 The teams earn points from their final ranking in both the fleet and match racing events towards the 2011-2012 America's Cup World Series, currently led by Emirates Team New Zealand. 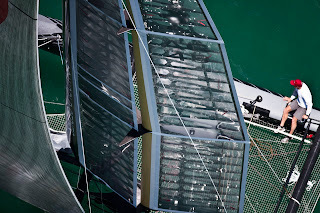 Beginning on the opening weekend (November 12-13) fans can enjoy the show from the America's Cup Village, which features food, merchandise, exhibits and entertainment. The AC Village is housed on North Harbor Drive, between Broadway and Navy Piers. From November 16-20, the AC Village will feature live music each evening. The races of the America's Cup World Series will take place just off Broadway and Navy Piers, within the tight confines of San Diego Bay. Spectators will be able to take advantage of a number of good shore-side viewing points, including a public spectator area at the end of Broadway Pier. In the AC Village there will be live video with expert commentary on the big screen from Wednesday through Sunday. Entrance to the AC Village is a suggested donation of $10 to help support ocean conservation efforts. Online, the America's Cup website, www.americascup.com has all the news, features, images and results from San Diego, including a webcam from the team bases. Starting with the championship races from November 16-20, the event YouTube channel, www.youtube.com/americascup will have live and on-demand streaming coverage of all racing. And for the first time, there will also be live streaming to iOS mobile devices through the America’s Cup YouTube channel. 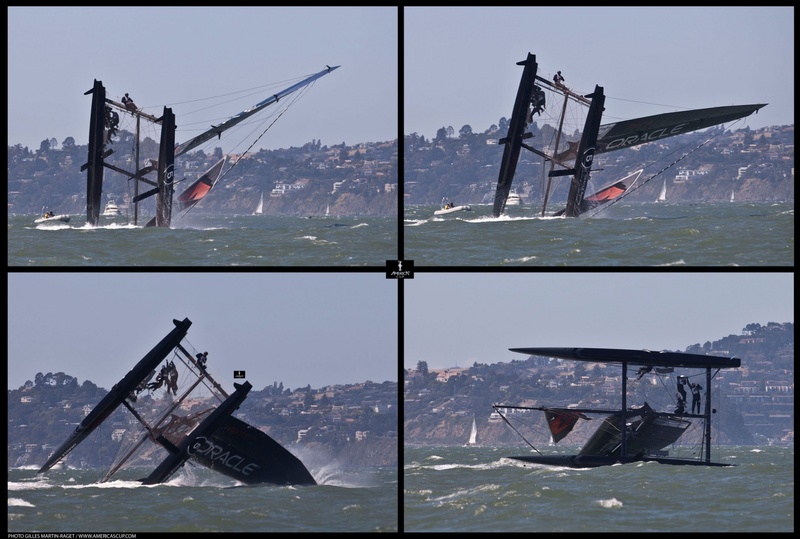 Racing at the America's Cup World Series - San Diego is scheduled to start with a warning signal at 1:05 pm each race day.